The Last Muse is a 2D isometric “music adventure” game for PC, in which players play the last Muse, who’s been kidnaped by some alien music creatures to a strange music realm. They want to imprison Muse so as to eliminate all music on Earth. To break up the scheme, players have to escape the alien music realm, and defeat enemies and traps along the way by “performing music” to unleash various abilities according to the rhythm and melody of the music that’s playing. The Last Muse features a music thematic adventure. In The Last Muse, almost every part of the gameplay is connected with music, from the pace of the game, to attack/defence and music abilities. 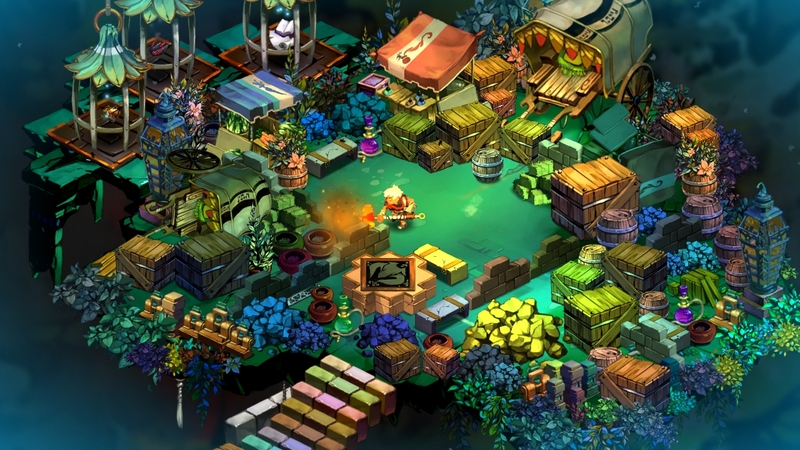 In brief, the game replaces the conventional gameplay elements in adventure games with music-related ones. Each level features a different piece of music and each platform/passage features a different section of the piece. As the game progresses, the music becomes increasingly complex in melody and rhythm. 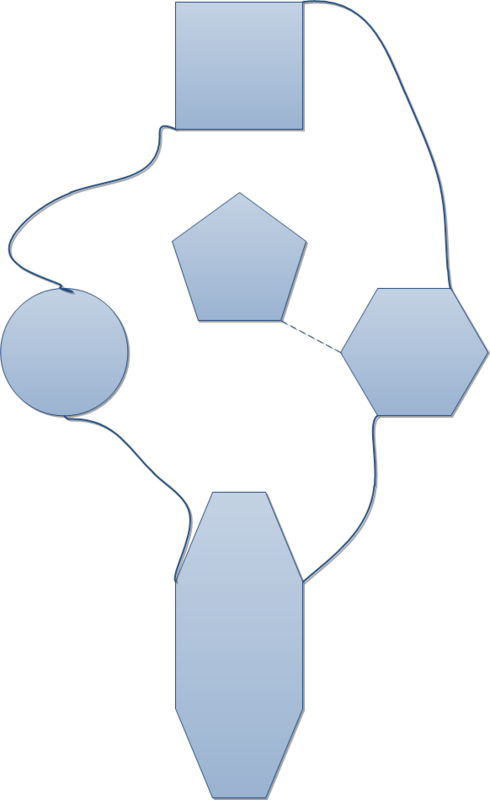 The player’s goal is to escape the alien music realm and try to keep Muse as well as possible. So the score starts with 10000 and every time Muse (the player) takes damage, the artistry decrease. The adventure of the game will be set across environments (platforms and passages) of music themes, so does the light comic story. 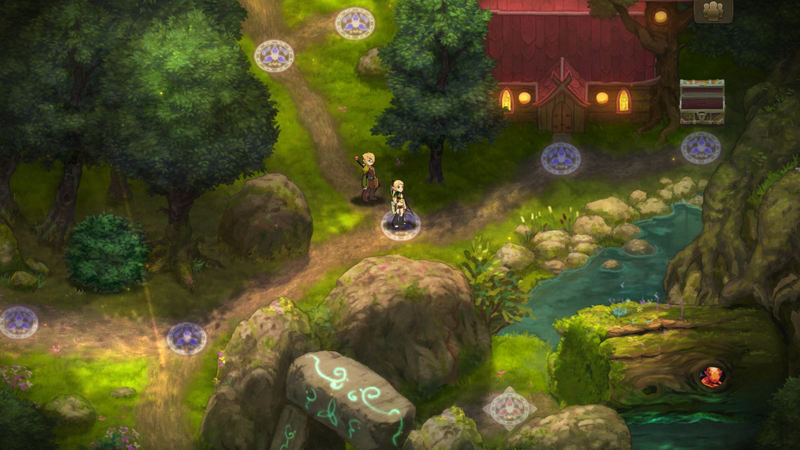 The game offers option for an unparalleled game experience of high integration of music and action adventure game. 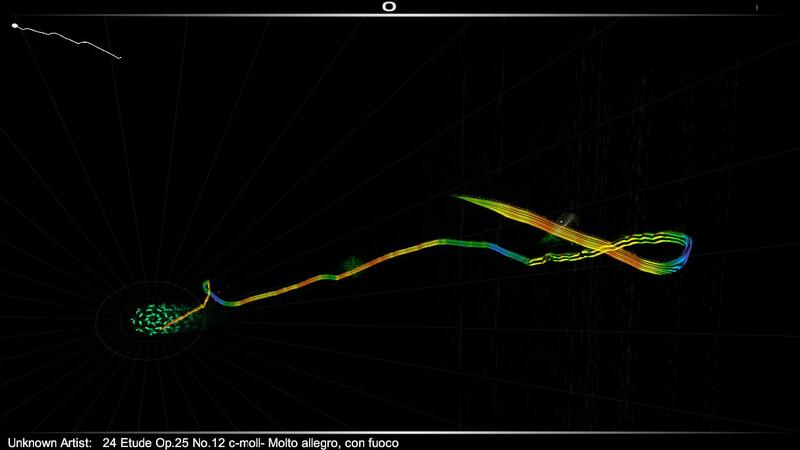 The pace of the player and enemies’ movement and actions are in accordance with the tempo of the music. So when in a platform with music of slow tempo, both the player and the enemy move and act at a relative slow pace along the music. The music’s pace also affects the pace of the story and the overall flow of the game. Apart from receiving the passive effect on pace, the player and the enemy also have to act along the music’s melody and rhythm. For the player, the music actions include restoring inspiration and texture, basic and combo attack/defence and music abilities. 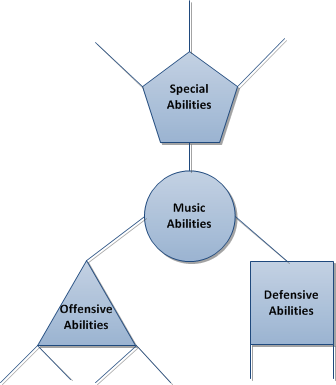 For the enemy, they attack, defend and use abilities according to the music as well. Meanwhile, there are music puzzles, such as lock picking, trap disarming, etc. involving similar music actions. The detailed actions will be explained in Gameplay section. 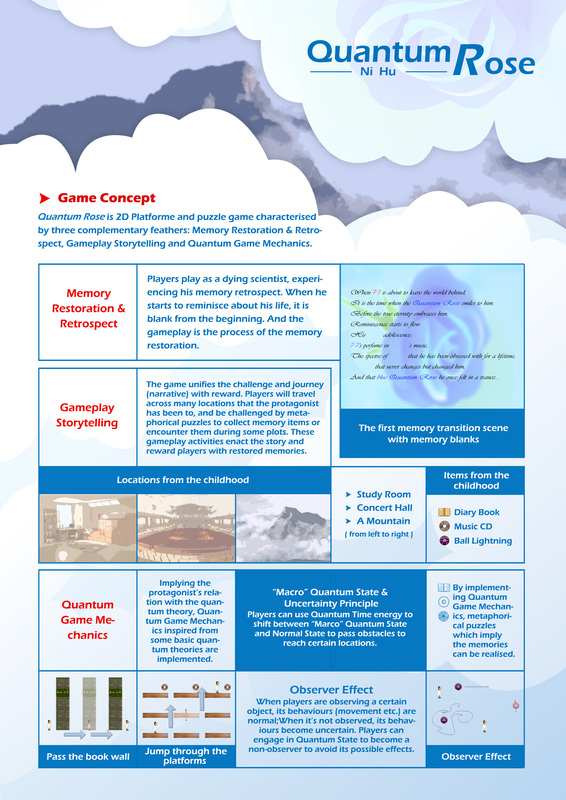 The platform/passage is the basic game world structure and gameplay loop. It is the location where the main actions take place. In each platform/passage, a section of a piece of music is playing and looping, which directs the pace and all combat actions. When in normal state, the player can choose to restore inspiration/texture and explore the platform/passage and solve music-related puzzles. When in combat state, the player can choose to defeat the enemy. In some cases, the player is not required to defeat the enemy in order to proceed to the next location. The enemy has a certain target range. Note there are two situations of music when considering implementing the music and its input commands i.e. the monophonic and homophonic music. 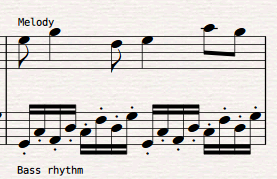 However, the separated input for melody combo and rhythm combo is always needed. e.g. oo, ooo, oooo etc. e.g. 35, 352, 3523 etc. Each combo has a certain maximum number of inputs. At certain locations, plots will be triggered. A level consists of 10-30+ platforms/passages. Each level has a piece of music as the theme of the settings (both for the music-related gameplay and the visuals). At the beginning & end of each level, cut-scenes are played to narrate the story as transitions. And the current artistry will be displayed. The whole game consists of 5-15 levels (depending on the practical development). The losing condition is that the player’s texture is decreased to 0, but the player with respawn at the nearest checking point. So there is no real losing condition. The winning condition is that the player reaches the end of the last level. The final artistry will be displayed and the player may enter the podium if a high artistry is created. 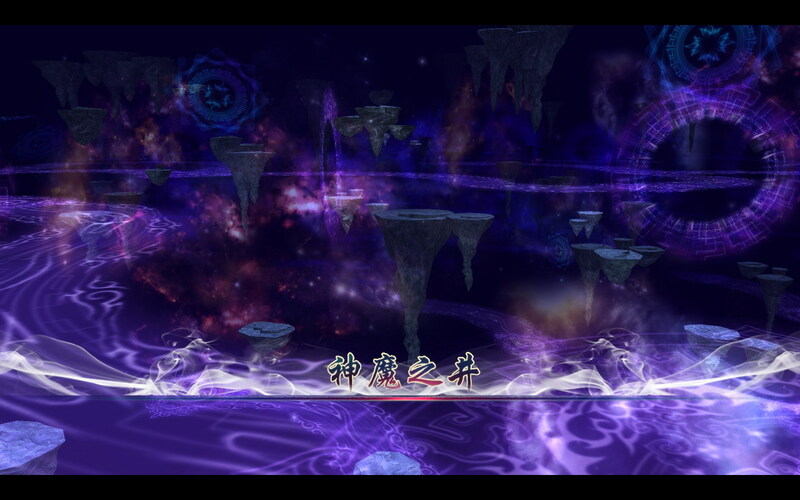 The game world is set in a strange alien music realm in ether which consists of many platforms and passages connected to each other. In some cases there are boundaries between them, so before certain objectives are achieved in the current location (e.g. defeating the enemy, unlocking the boundary). A platform/passage may contain certain number/combination of enemies, traps, locked boundaries, interactive objects (portals, etc.) and collectables. Two platforms are connected by a portal or by one or more passages. The visual style is set to be a compound of cartoon and surrealism. The main character Muse and the enemies are cartoon figures, while the game environments should be depicted in surrealist style. The main character Muse is a white robed figure and as he/she grows in power, the apparel becomes increasingly rich in details. Muse wilds a floating golden treble clef as the weapon. For players who are not comfortable with playing the music based on hearing, visual clues are displayed by default to hint the inputs of melody and rhythm. The visual clues will be displayed on the top centre of screen as a constantly scrolling timeline, where melody hints are displayed on the timeline and the rhythm hints are displayed beneath the timeline. The music should progress from easy to hard. Most of the music will be composed by us. The masterpieces should feature real masterpieces of different genres so players can choose their most familiar and favourite ones. All sounds should be as instrumental as possible to be consistent with the music theme of the game. 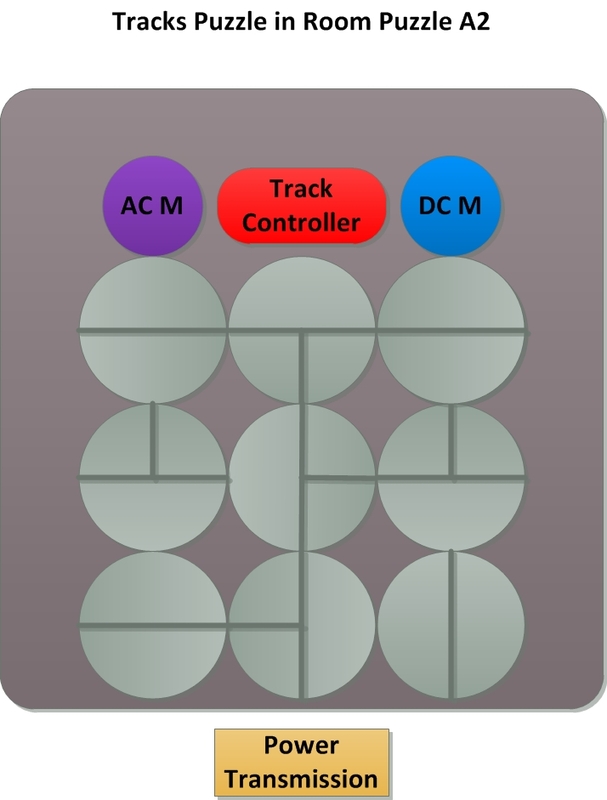 Two sets of control schemes are available. music lovers who do not play many games but would like to have a different music experience through a game. PC (or any more? )port to iPad if game has good response. As a tribute to Liu Cixin’s great science fiction novel The Ball Lightning, I wish to tell this interactive story through Quantum Rose, a game in an unconventional form of 2D platform and puzzle games. I pitched the game to my tutors, classmates and some other industry people. 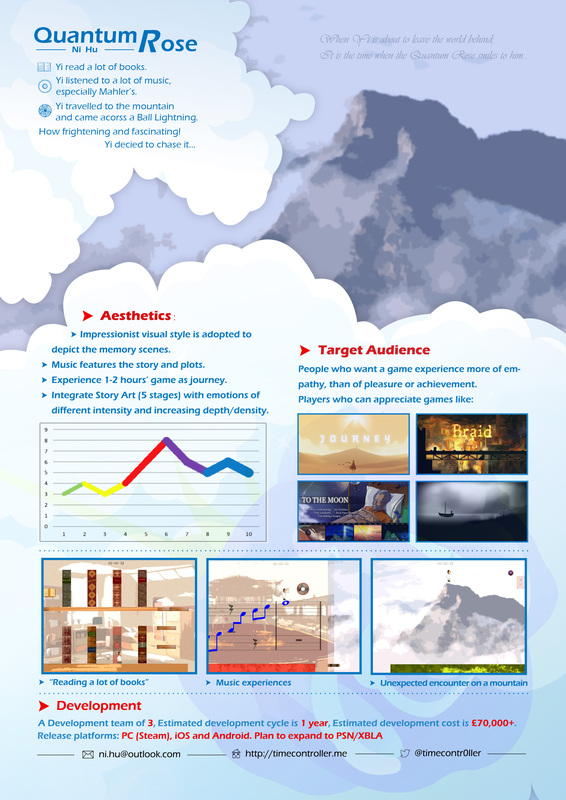 Check out the prezi I made for the pitch. Game Prototype: Quantum Rose from Ni Hu on Vimeo. 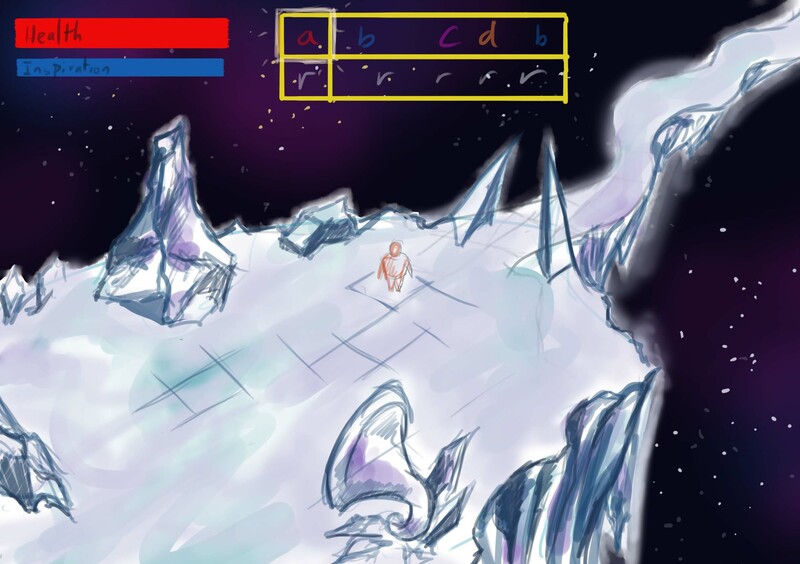 Due to the limitation of the game prototype (ludic sketch), the story cannot fully unfold in a continuous manner. But the designer’s comments will give brief explanations on the plots where necessary. Download and play the prototype, and all feedback is welcome! In Snowwhite, I tried to explore how to convey a light mood through the discrete connection of music and game. The gameplay is sparse, and if without the music it’s just pattern matching. However, I’d like the player to feel they are playing along the music while listening to this beautiful piece. The music here is Guillaume Lekeu’s unfinished Piano Quartet, the second movement. Game Prototype: Snowwhite from Ni Hu on Vimeo. 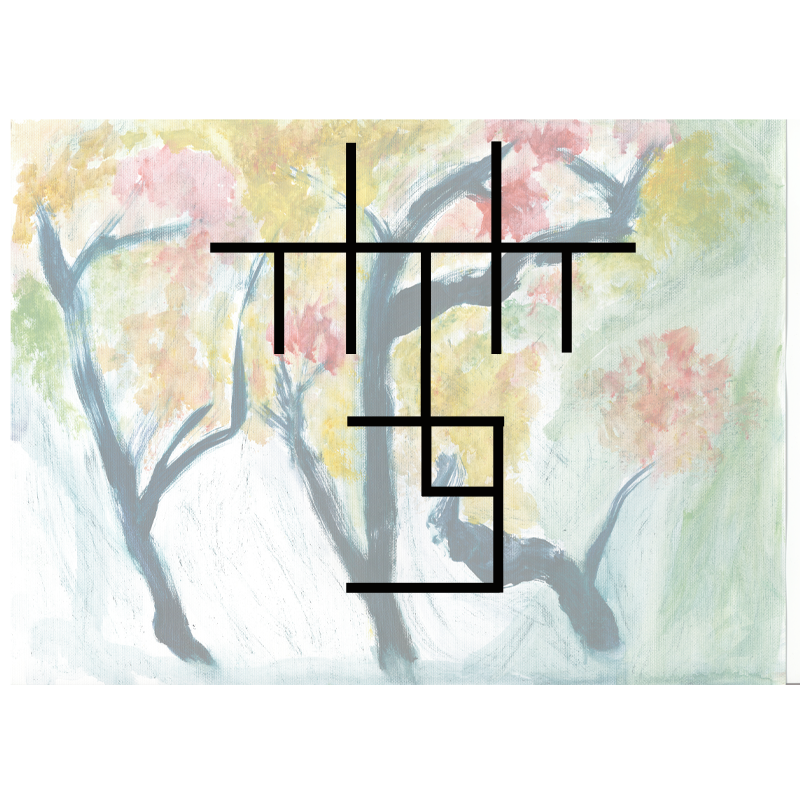 Puzzles can be ludic as they are meant to be. But to convey a consistent gameplay experience, being ludic is not enough. A good puzzle in a adventure should be in the adventure, that is to be “diegetic”. In the design of the original puzzle 2 (shown below), the tracks may not be well explained from a player’s view — what’s the point of setting up tracks in Tesla’s laboratory even in a half-fictional game context? In addition, it doesn’t contain adequate ludic elements of electricity. An attempt of improvement was made to make it more “diegetic”. First, the whole track system has been redefined as a AC/DC power dissipation simulation experiment left by Tesla. In the room there are some high-resistance circular plates which can be rotated to form a circuit to conduct both AC & DC power form generators to motors. 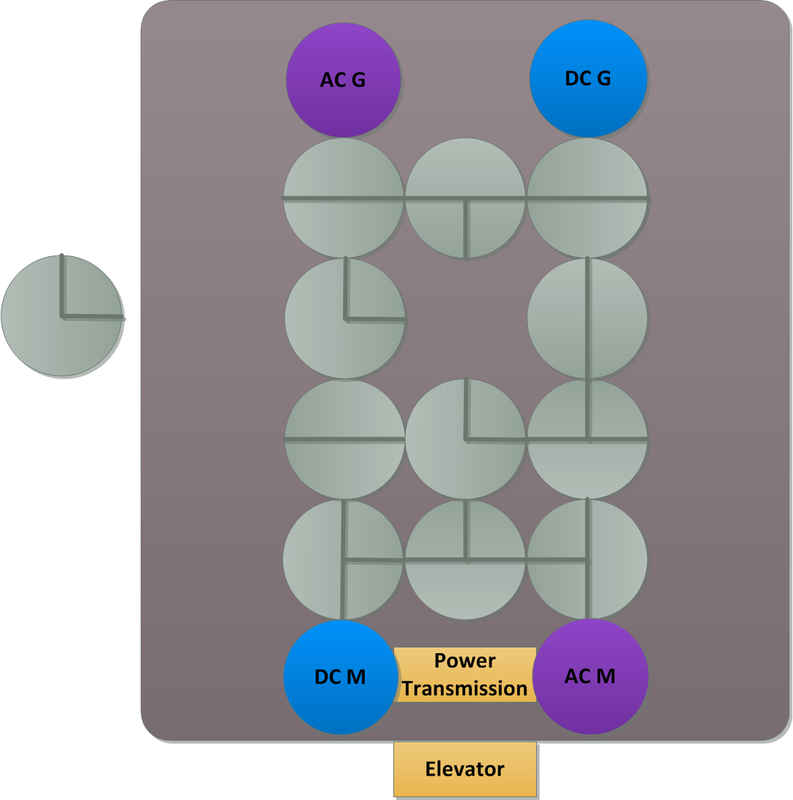 Both AC and DC motors are connected to an elevator through the power transmission. Notice that a plate in the centre is missing, only the DC circuit can be established to partially power the elevator though the DC motor. Notes around the room indicate that DC power loses current easily over long distances (simulated by the high-resistance environment in this situation). The elevator can only take the player down to a storeroom where the missing plate is located when powered by the weak DC current. the elevator back upstairs. Then other puzzles involving ladder assembly and trapdoor lock picking can kick in. After the player successfully get back to the upper room with the plate found, the AC circuit can be completed and then leads to the AC motor puzzle. Finally after it is solved, the elevator is powered by the AC motor, which runs on the strong AC power, it can take the player up to the next puzzle room.